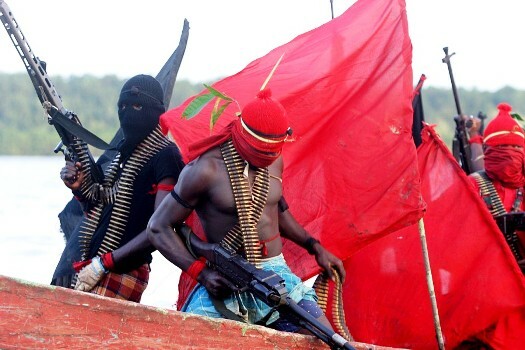 Slightly more than one week after Imo legislators condemned the exclusion of the state from the Federal Government proposed dialogue with oil producing states in the Niger Delta region, in its bid to quell the armed hostilities in the region, a new militant group has emerged in the state. The new group, Niger Delta Red Squad, which had claimed responsibility for the blowing up of two pipelines belonging to Shell in the Asa/Awarra axis of Ohaji Egbema Council Area, has also threatened to attack major oil pipelines in Oguta Council Area and ultimately shutdown all oil wells in the state. The group, which was announced through a Facebook update, claimed it had what it takes to carry out the threat, warning that until the oil producing areas in the state are giving what rightfully belongs to them, the area will no longer be peaceful for oil companies to operate. An ex-militants from the area confirmed the existence of the group but quickly added that he was not involved in the renewed militancy. Copyright © 2016 The Oriental Times™. Permission to use quotations from this article is granted subject to appropriate credit being given to www.otimestv.com as the source. DISCLAIMER: Comments made here does not reflect in anyway the opinion of Oriental Times or its staff. Any ADVERT post made on the comment section of this platform is NOT ENDORSED by Oriental Times and MUST be ignored by readers as it might be a scam/fraud. Copyright © 2016 The Oriental Times All Rights Reserved. Powered by Blogger.